The Old Jaffa Development Company launches brand new visitors’ center, which presents the city's history from the Bible to the present day. The Old Jaffa Development Company has launched its brand new visitors’ center, which presents the stories of Jaffa (Yafo) in the heart of the old city’s Kikar Kedumim (Kedumim Square). 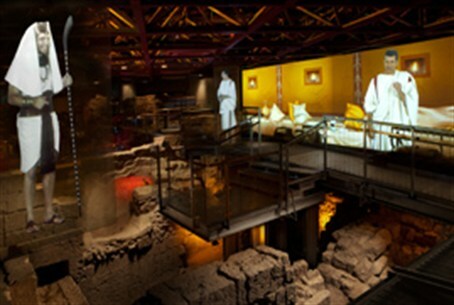 The visitors’ center is located underneath the busy square and is, in fact, a large archaeological space which presents the history of the city from the time of the Bible to the present day. “Jaffa is the oldest port city in the world which still works,” Eyal Meirovitz, Manager of the Old Jaffa Tourism Center, told Arutz Sheva. He noted that the purpose of the new visitors’ center is to bring the history of the city to life while connecting it to the future.